When and wherever they occur, mergers are usually the outcome of a series of well-thought out, strategic business and economic decisions that have to do with creation of more wealth for shareholders and the need for increased market share in a competitive marketplace. Clearly, the Access/Diamond marriage is no exception to these age-long principles. 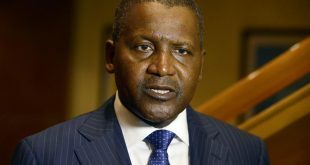 As noted by the CEO of Access Bank, Herbert Wigwe, the combination of the two businesses will “create the largest retail bank in Africa by customer base” and a very significant player in the Nigerian financial market. According to him, the merger is “a huge step towards the delivery of our goal to bring the power of banking to millions of people across Nigeria and an exciting transaction for Access Bank and Diamond Bank’s customers, staff members and shareholders”. 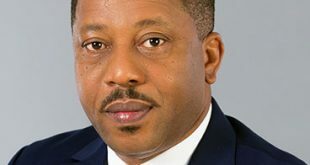 On his part, Uzoma Dozie, Chief Executive Officer of Diamond Bank, in the wake of the announcement of the merger, assured all stakeholders that the move was a positive one for all Diamond Bank’s customers, employees, and shareholders. According to him, “customers will benefit significantly through the unrivaled combination of the best of Diamond Bank’s retail and digital leadership with the size of Access Bank’s balance sheet, corporate names and geographical reach”. – Furthermore, the synergy of both capital bases such as Diamond Bank’s NGN1 trillion low-cost deposit base and that of Access Bank will invariably result in an improved deposit mix, improved access to capital markets and greater efficiency in treasury operations. When completed by the end of June 2019, the controlling shares will grant Access Bank the entire issued share capital of Diamond Bank in exchange for a combination of cash and shares in Access Bank via a merger scheme. 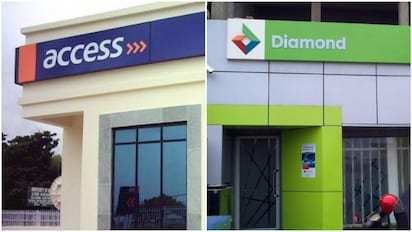 Details of the cash and shares gains show that Diamond Bank shareholders will receive N3.13 per share, comprising N1.00 per share in cash (N23.1billion) and the allotment of two (2) New Access Bank ordinary shares for every seven (7) Diamond Bank ordinary shares (N6.6 billion) held as at the implementation date. The offer represents a premium of 260% to the closing market price of N0.87 per share of Diamond Bank on the Nigerian Stock Exchange (“NSE”) as at December 13, 2018, the date of the final binding offer. Diamond bank numerous customers have nothing to worry about as their favourite products will remain unchanged, providing them the same value for their patronage or loyalty, products such as: Diamondxtra, Xclusive plus, HIDA (High-Interest Deposit Account), Diamond Business Advantage (DBA), BETA. *Diamondxtra: This product offers tremendous opportunities to customers who stand chances of earning amazing interests on their savings. These benefits include monthly, quarterly and goes on for life. For instance, the Diamond Healthxtra Insurance Plan in partnership with Hubris Hmm Limited, a Health Maintenance Organisation (HMO) leaders in Nigeria, guarantees access to health with just #6,000 annually and other life-changing offers. * High-Interest Deposit Account: This is another interesting banking amazement from the stables of Diamond Bank which helps customers save for the rainy day or a project, even while enjoying regular banking interests. This suggests that though the deposit account saves the amount for a period of time, the customer can access interests on a monthly basis to run his/her life. Here, with HIDA, the more you save, the more competitive interests you earn. 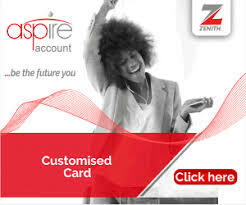 It builds a saving culture or spirit as the account does not come with a debit card. In the final analysis, fears, and expectations aside, all customers, staff and shareholders of both banks must now focus on what the big picture of the merger and the value proposition of two successful brands fusing into one. Historically, wherever Access Bank operates, the ensuing relationship has led to the birth of better returns across the value chain of the emerging company, the endgame being better service delivery for customers and better Return on Investments (ROI) for shareholders. Everything about this merger looks good as the parties involved continue to tick the different boxes in the phased process. On the management integration side of the deal, there are sufficient grounds to believe that the workforce of both financial institutions would not suffer from the staff layoffs that usually characterize mergers and acquisitions when they become fully operational. Hopefully, the management of the fused banks led by Access Bank’s Chief Executive Officer, Herbert Wigwe, will learn from the widespread criticisms that followed Intercontinental Bank’s acquisition in 2012. Hopefully, too, the coming together of these big industry players to form Africa’s mega retail bank will be a move in the best interest of everyone involved. Against the widespread reports of the new merger and fears that the banks’ depositors’ funds would be compromised, the managements have offered reasons for what they termed the emergence of the first mega retail bank on the African continent. Therefore, customers are at the heart of the decision to create one of Nigeria’s leading banks. The combination of Access Bank and Diamond Bank will result in real benefits. 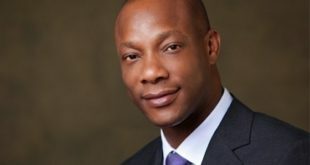 The products and services that Diamond Bank’s clients enjoy, including its commitment to digital innovation, will continue unchanged and will be backed by Access Bank’s own commitment to customers, financial inclusion and sustainability, and the bank’s corporate expertise and strong balance sheet. Together, we will bring the power of banking to millions across Nigeria, focused on speed, service, and security. We are determined to ensure that both Access Bank and Diamond Bank customers will experience no disruption to normal banking services while we join forces to create Nigeria and Africa’s largest retail bank by customers. While there may be some changes in due course, we are committed to informing you ahead of time and in a way that is most convenient for you.